Skiing is a great way to get outdoors, experience the beautiful Colorado scenery, and stay physically fit. Unfortunately, skiing brings a risk of injury. What do sports medicine specialists have to say about that? 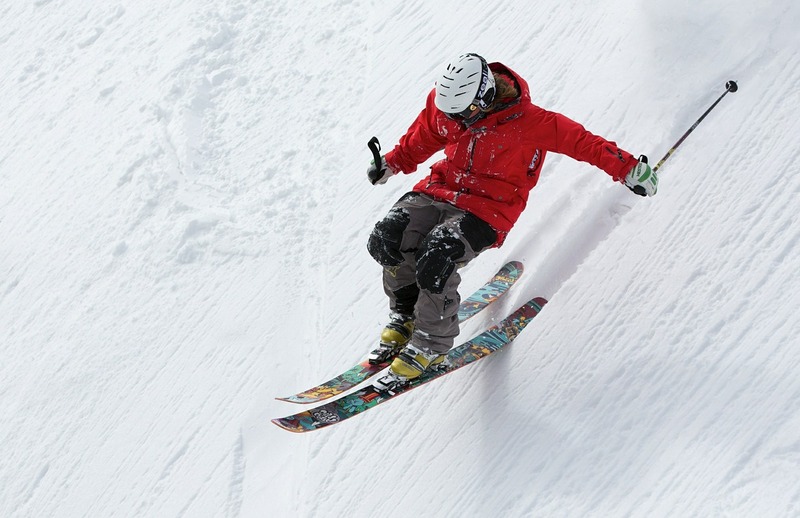 Some of the most common types of skiing injuries are knee sprains, fractured wrists, broken legs, head injuries, shoulder dislocations, and ankle and foot sprains. By far the most common skiing injury is a sprained knee. This occurs when the ligament around the knee joint is injured by tearing or stretching too far. A knee sprain can happen during skiing when the knee bends in the opposite direction from how it normally bends or from too much strain on the knee joint. This can cause significant knee pain. Thankfully, there are methods to help prevent injuries while skiing. One of the simplest and most effective ways to reduce injury is to wear a brace. Knee, wrist, and ankle braces are readily available and a great first line of defense against injury. Wearing a helmet is also essential in protecting the skull and brain. Our sports medicine specialists recommend another important step in preventing injury – wearing equipment that fits properly. Conditioning is another way to prevent skiing injuries. Of course, you must do this this well before hitting the slopes. A good program will include endurance, strength, flexibility, and balance. Aerobic exercises such as swimming, cycling, biking, or jumping rope will all increase your level of endurance. Strength exercises such as squats, toe-raises, and sit-ups will condition your muscles for the strenuous sport of skiing. Stretches for the hamstrings, quads, and Achilles tendons are the third part of conditioning your body for your next skiing adventure. Finally, balance exercises such as standing on one leg and single leg hops will round out your conditioning regimen. One final way to prepare your body for skiing is to stretch before heading down that mountain. When most people set out to go skiing, this begins with a long car ride followed by waiting in line while standing in the cold. Your need to warm up your muscles to prevent injury. You can accomplish this by stretching after getting off the lift and then by taking an easy run the first time down. By following these tips for preparation and prevention, you increase your chances of having a fun and injury-free day on the mountain. Of course, if you do happen to injure yourself, call 719-632-7669 to schedule an appointment with the best orthopedic specialists in Sports Medicine in Colorado Springs.